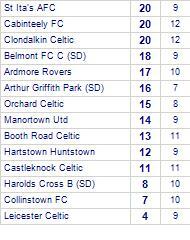 Cabinteely FC take all points from Shamrock Rovers. 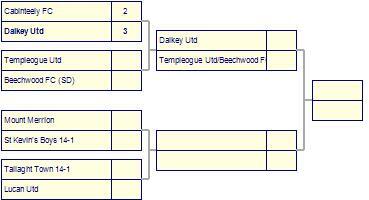 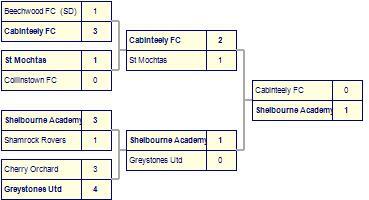 Cabinteely FC lose to Ballyfermot Utd. 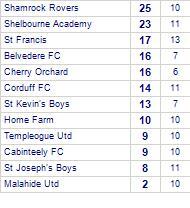 Cabinteely FC beat Knocklyon Utd 14-2. 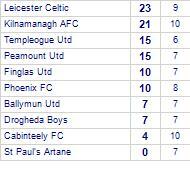 Verona FC beaten by Cabinteely FC. 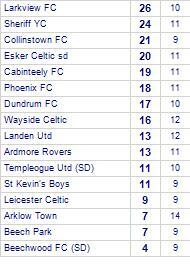 Cabinteely FC despatched by Ardmore Rovers. 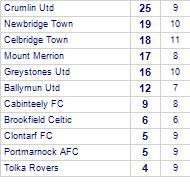 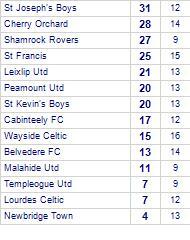 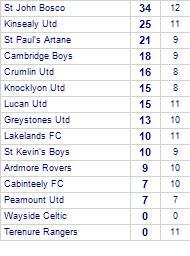 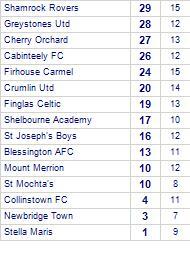 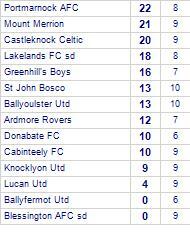 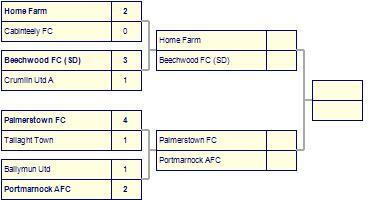 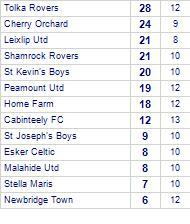 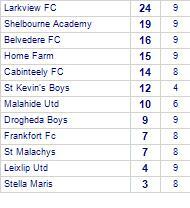 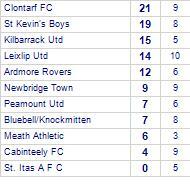 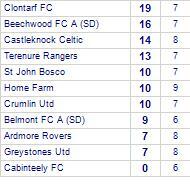 Ardmore Rovers have won 3 out of 4 away games. 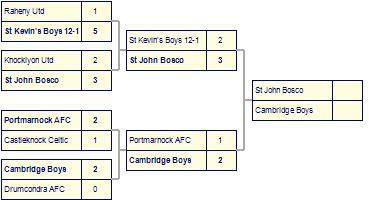 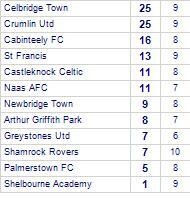 St Francis beaten by Cabinteely FC. 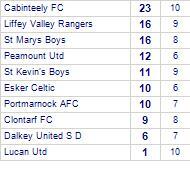 Cabinteely FC despatched by Landen Utd. 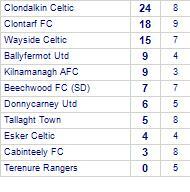 Cabinteely FC beaten by Drumcondra AFC.